Americans do not trust the government to run healthcare because they do not trust elected officials to make decisions with their best interest in mind. 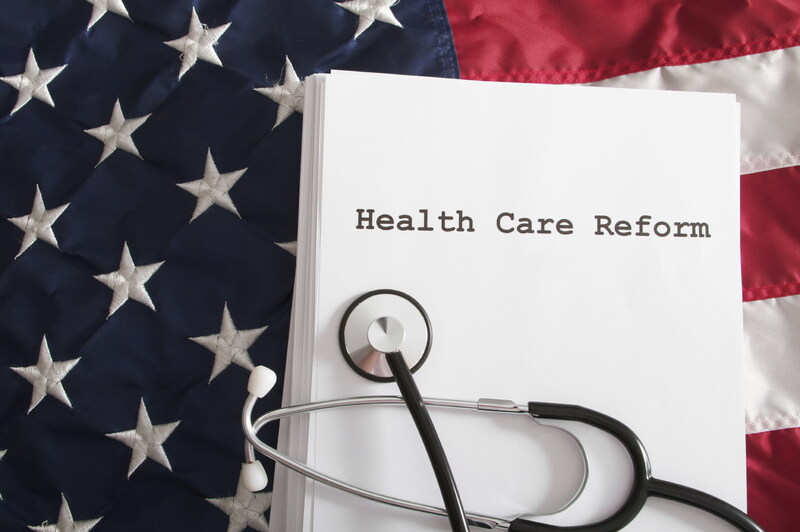 The public option in healthcare reform will place members of Congress, the Senate and the President in a position to make decisions on individual Americans healthcare. When you think about how elected officials make decisions, allowing the public option in healthcare reform becomes a very risky proposition that will eliminate competition in healthcare. Politicians make decisions differently than business owners, CEOs and managers. Politicians make decisions based on popularity and emotions with re-election and party politics in mind. Politicians make decisions based on pressure from citizens and even more so by special interest and lobbying groups that donate money to their campaigns and party. CEOs and business owners on the other hand make their decisions based on performance and profit. They are driven by performance, success and money. The running of healthcare in America should be business not politics. If a business is not making a profit it has to change to ensure that it survives. If a business fails to provide the services and prices that its customers demand, it will lose its customers and also its profit. This simple business model can solve most of the debate on healthcare reform. If government restrictions on insurance company competition are lifted, allowing citizens to get heath insurance from any insurance company in the country, insurance companies will have to do a better job of providing better prices and services in order to survive and stay in business. We need to be allowed to shop with true competition so that we can force health insurance companies and medical companies to serve us better. When competition is limited due to government controls, we as consumers are not able to use competition to force companies to serve us better. Click the link to read another story about revocable trust. If the public option is allowed to become part of a healthcare reform bill, the public option will eventually become the only option. When the government is placed in competition with private insurance, private insurance will eventually go out of business leaving only the public option. When this happens we will lose all choice in healthcare and all of our healthcare decisions will be made by politicians. The problem with the public option in healthcare reform is that if enacted healthcare decisions will be made by politicians. Unlike private business owners, politicians implement and keep programs going as long as they are popular with no regard to the success of the program. Even if a program is consistently losing money and nobody is happy with the services, it can still be politically popular and kept running. In a press release in 2008 the Centers for Medicare and Medicaid Services stated that “the current path of Medicaid spending is unsustainable for both federal and state governments.” When we look at the budget crises in Medicaid, the current program used to fund healthcare for low income Americans, it is clear that the government will not be able to effectively manage a national healthcare program for all Americans without going deeper into debt. The public option in healthcare reform is not supported by doctors or by individual Americans in this country. As reported in Investors Business Daily on September 16, 2009, 65% of doctors polled by IBD/TIPP opposed the current healthcare reform bills. 45% of these doctors stated they would consider closing their practice or retiring early if these healthcare reforms passed. Most doctors stated the prime reason they are opposed is because of the public option. Most feared that America would move towards socialized medicine which would result in higher costs and a lower standard of care. Current Rasmussen polls indicate that Americans are not in support of President Obama’s healthcare reform. While 30% of Americans strongly agree with the plan, 40% strongly disagree. 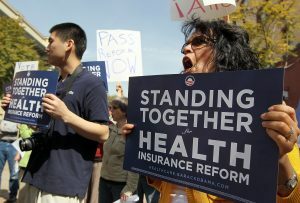 47% of Americans believe healthcare reform will cost them more while only 25% believe it will cost them less. Only 28% of American believe that healthcare reform will deliver better healthcare than they have now. 47% of Americans believe healthcare reform will leave them with a lower quality of care than their current plan. Why are these poll numbers so low only a week after the President’s speech? The reason is that the American people do not trust the government to run their healthcare. America may not like CEOs of health insurance companies making decisions on healthcare, but they like politicians making these decisions less. In President Obama’s speech he told the American people that he would not sign a bill if it added “one dime to the budget deficit.” Americans do not believe that the government can offer a public option in healthcare reform that will not add millions or trillions of dollars to the budget deficit. We as Americans have heard for years about the deficits in Medicare and Medicaid. Both of these programs are small compared to the public option. If the American government cannot run Medicare and Medicaid on budget, why would we believe that they could run a public option in healthcare reform without adding to our already ridiculous national debt? Competition in healthcare and insurance is the answer not the public option.